Last Friday, Princess Yuriko of Mikasa attended a service at Toshimagaoka Imperial Cemetery in Tokyo to commemorate the 1st anniversary of the death of her late husband, Prince Takahito. For this memorial, she wore a veiled black bumper hat. Princess Mako, Princesses Akiko and Yoko of Mikasa and Princesses Hisako, Tsuguko and Ayako of Takamado all wore veiled black bumper hats. On October 29, Princess Akiko braved the rain in a repeated a white pillbox hat for the enshrinement of Prince Mikasa’s spirit at the Imperial Palace. Over the weekend, Emperor Akihito and Empress Michiko visited Fukuoka and Oita Prefectures. For a visit to a robotics innovation center on Saturday in Kitakyushu City, the Empress wore a large white (or cream? oyster?) domed saucer trimmed with a large bow that looked to be embroidered in a lattice pattern with metallic thread. Previously Worn: the bow seems new… who knows about the saucer. The focus of the visit, the 37th National Meeting for the Healthy Ocean, took place Sunday in Munakata City. Empress Michiko wore a smaller scale saucer in pale bluey-grey trimmed with a multi-looped silk bow that circled around the left side of the design. The sheen of the silk bow gave a bit of contrast to the hat, which was, I suspect, covered in the same fabric as Michiko’s suit and caped jacket. The shade of blue is more becoming on her than the dull grey we often see her wear. The visit concluded yesterday with a stop in Kitakyushu Eco-Town Center. Empress Michiko repeated a familiar hat for this leg of the visit, a denim blue saucer trimmed with an angular, flat folded blue and gold bow. The last hat has made seven appearances during the past two years, leading me to wonder if the Empress’ larger saucer hats (like the first one) are repeated with interchangeable trims to coordinate with her attire. I seldom see them repeated as much as the blue hat… but perhaps, it is simply a favourite. What do you think of this group of hats? June 6 marked the fifth anniversary of the death of Prince Tomohito of Mikasa. As per tradition, a ‘grave festival’ was held at Toshima Oka cemetery in Tokyo. The Imperial family was led at this event by the late Prince Tomohito and Princess Nobuko’s daughters Princess Akiko and Princess Yoko; their grandmother, Princess Yuriko of Mikasa, Crown Prince Naruhito, Prince and Princess Akishino were also in attendance with the women in veiled black bumper hats and the men in morning dress, carrying silk top hats. 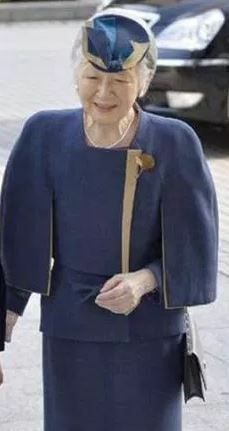 The event was also attended by former princesses Mrs. Sayako Kuroda (Prince Naruhito’s sister, the former Princess Nori) and Mrs. Noriko Senge (former Princess Noriko of Takamado) who repeated the dress code of pale grey dresses topped with black veiled bumper hats. Today, a similar event was held at the same cemetery and shrine, this time to mark the third anniversary of the passing of Yoshihito, Prince Katsura. Similar black, veiled bumper hats were worn again for this event by Princess Yoriko of Mikasa (Prince Katura’s mother), Princess Kiko and Mrs. Sayako Kuroda. Again, Crown Prince Naruhito attended in morning dress, carrying a black silk top hat. The attendance of Sayako Kurado and Noriko Senge at these events feels noteworthy. Since the 1947 Imperial Household Law, Japanese princesses have lost their royal status upon marriage – until recently, former princesses did not attend royal events and appeared to be completely cut off from their royal relations. While these were family events (and as such, follow different rules than official Imperial ones), Princess Mako’s upcoming engagement announcement has started chatter about revising this law to allow Imperial princesses to retain some of their status (especially with a single male in the current young generation). I can’t help but hope that the appearance of Sayako and Noriko this week is a sign that, at the very least, the inpterpretation of this law is starting to change. صاحبة السمو خلال حضورها الاجتماع العالمي لمبادرة التعليم للجميع. باريس، نوفمبر ٢٠١٢ HH Sheikha Moza in the Education for All Steering committee meeting. Paris, November 2012. Another pair of beautiful new photos released by The Swedish Royal Court of Crown Princess Victoria, Prince Daniel, Princess Estelle and Prince Oscar. So sweet.